Rheumatoid Arthritis is an auto-immune disease characterized by a chronic inflammatory condition that affects the entire body. If you suffer from RA, having a flare up can often mean enduring days of swollen, aching joints and stiffness. I understand what it is like because I lived with RA for years before finding the right Diet for Rheumatoid Arthritis – the foods that allowed me to close the door on my painful condition and set me Free! As a Holistic Health Coach, I can help you discover your own Diet for Rheumatoid Arthritis Relief! Establish your own, completely personalized "Roadmap to Health"
Create your new Happier, Healthier Life! How Can a Diet for Rheumatoid Arthritis Help You? When you are diagnosed with RA, you find that "mainstream" treatments primarily focus on pain management. Doctors often address the immediate needs of the patient without exploring how the disease and the person's overall mind, body, and spirit are related. In the case of RA, this means that physicians write a great number of prescriptions for pain, but many times these same doctors don't believe you need to learn which foods to avoid with Rheumatoid Arthritis or that the state of your emotional health has anything to do with how you experience the disease. However, as a Holistic Health Coach and former sufferer of Rheumatoid Arthritis, I can personally tell you about the Mind-Body-Spirit connection! Years ago when my RA was still active, I started a thriving Personal Chef business with my daughter. Over time, we consulted with doctors and nutritionists and made adjustments to our menus so people with diabetes, heart disease, and gluten concerns could enjoy healthier foods. As I slowly began to change my own diet to this superior menu, I noticed improvement in my RA symptoms and I soon learned which foods to avoid with Rheumatoid Arthritis. I also began my journey of Spiritual Growth around the same time and experienced an even greater relief from my disease. These days, I no longer suffer from RA! By incorporating a Diet for Rheumatoid Arthritis into my everyday life and learning to integrate the Whole Body with the Mind and the Spirit, I have become Healthy and enjoy an overall sense of complete Wellbeing! These amazing Life Changes led me to become a Certified Health Coach. I was trained at the Institute for Integrative Nutrition (www.integrativenutrition.com), where I received a certificate in nutrition after studying more than one hundred dietary theories and a variety of practical lifestyle coaching methods. This extensive knowledge, combined with Metaphysical Healing and Spiritual Counseling, allows me to help you create your own, customized "roadmap to health" — one that suits your unique body, lifestyle, preferences, and goals. 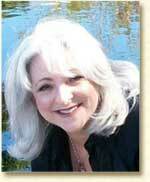 As a Certified Health Coach, I provide my clients with a holistic approach to health and wellness. I don't dwell on calories, carbs, fats, and proteins; instead, I search for the ways that all areas of your life are connected. Perhaps job stress or relationship stress contributes to your RA symptoms. Maybe you are too tired to exercise because you aren't sleeping well, so your joints are stiffer and more inflamed than usual. As we work together, you and I will take a look at how all aspects of your life combine to affect your health as a whole. Isn't it worth exploring how a Holistic approach and a Diet for Rheumatoid Arthritis can help you? To find out more, contact Nancy Livingston, your Health Coach for Body, Mind, and Spirit today and start living your New Life tomorrow!